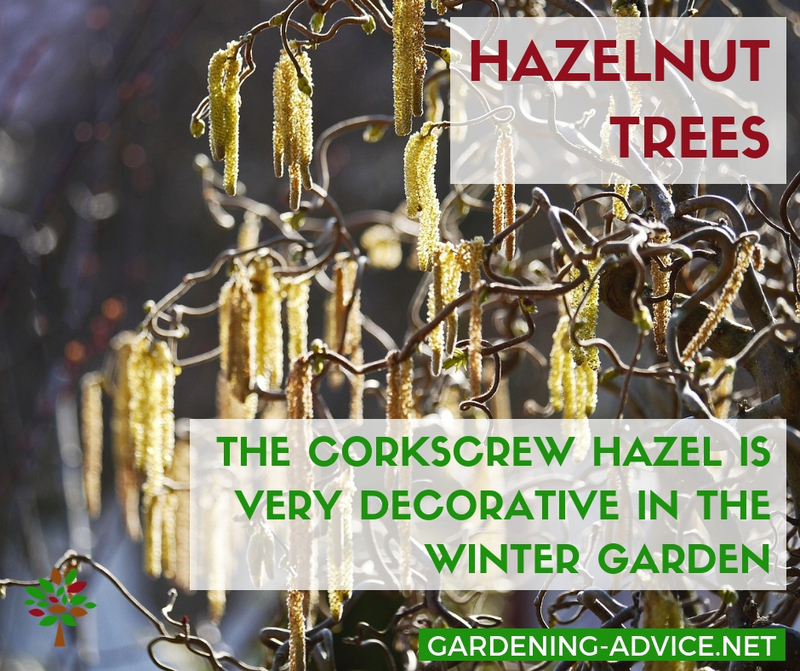 The Hazelnut tree is very easy to grow and suitable for wildlife hedges and larger permaculture gardens. They provide healthy nuts and straight branches that are suitable for stakes or tool handles. My love for the hazelnut tree (Corylus avellana and Corylus maxima) goes back to my childhood when we were picking the often still unripe nuts off the trees, crushed them with a stone and ate them there and then. The trees were so vigorous and suckering no matter how often my dad cut them down. They just came back with nice straight branches that we often used for barbecuing sausages over a campfire. Hazelnuts trees (also often called filberts or cobnuts) are very easy to grow and they have more uses than just providing nutritious nuts. If you are predominantly interested in growing large, tasty nuts I recommend you choose a cultivar like e.g. Cosford, Webb’s Prize Cob or Hall’s Giant. 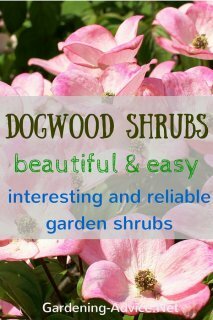 There are many more varieties to choose from and they might vary depending on your location. Please note that hazelnut trees are usually not self-fertile and require pollination partners nearby to set adequate fruit. 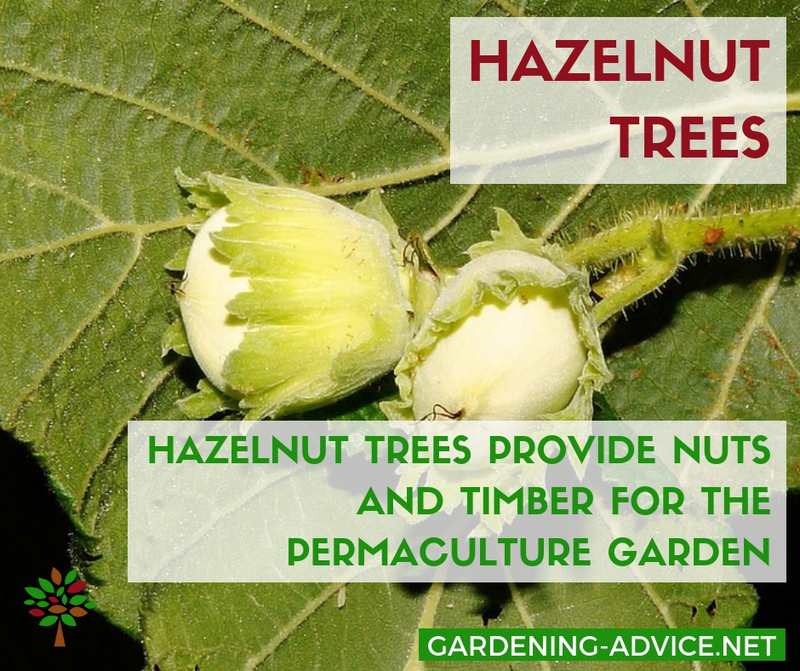 The Hazelnut Tree Is A Plant With Many Uses! The nuts are very nutritious and have many health benefits. They provide a good source of protein and healthy fats beneficial for brain and heart health. The nuts can be eaten fresh or dried whole or crushed into granolas, mueslis, cakes, cookies or bread. Of course, the ultimate combination of hazelnuts is with chocolate! They can also be used as nut butter similar to peanut butter. A healthy and nutty tasting oil can be extracted from the nuts. The remains of the extraction process can be used as a flour. 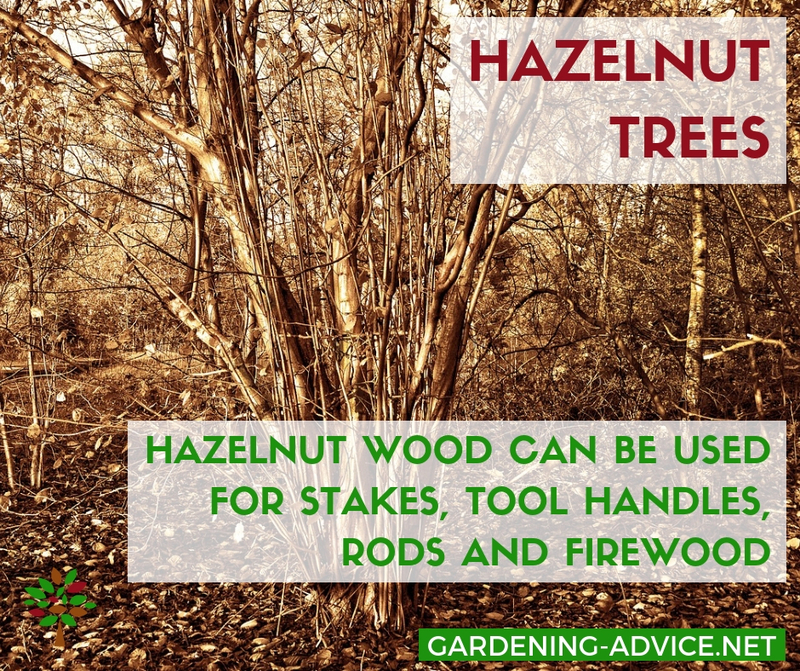 The hazelnut tree also provides useful timber that can be used in several different ways. The often very straight branches can be used as stakes and fence posts, tool handles or rods. 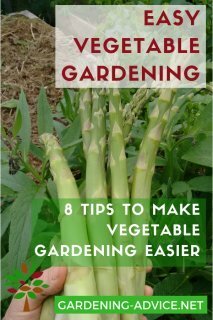 Gardeners love them because they make perfect poles for beans or peas. 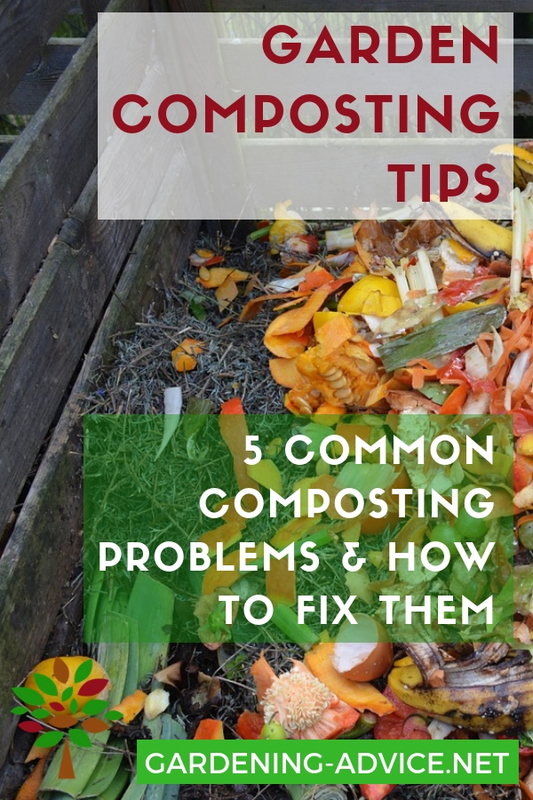 They can be coppiced every 6-15 years to provide firewood too. Being shade tolerant they make a good understory candidate for food forests but the nut production is best if the plants are provided with good light. Hazelnuts can be included in natural hedgerows and natural fruiting hedges. They are also a useful windbreak or living fence giving protection to more delicate plants by helping to create a suitable microclimate. Filberts are one of the plants that tolerate being close to walnut trees. They seem to be not affected by the juglone the walnuts excrete through their roots. Hazels provide a great natural habitat for insects, birds and more. If you want to increase biodiversity and help to establish a healthy ecosystem in your garden filberts are a good choice if you have enough space for this rather large shrub. Hazelnuts tolerate a wide range of conditions but do best on moist but not waterlogged fertile soils in full sun. They tolerate shade but won't crop well under these conditions. Filberts are long-lived trees that start cropping after 3-5 years. The American Hazelnut is very similar to its European counterpart except that the nuts are smaller. It is a very valuable plant for wildlife. It is loved by deer, squirrels, woodpeckers, pheasants and more. Planting Hazelnuts provides much-needed habitat and food for wildlife in your garden. Are you looking for American Hazel trees for your garden? Check out Naturehills Nursery for availability. 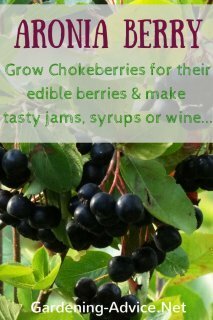 They can be bought during the winter as bareroot plants or containerised later in the season. This is variety is grown for decorative purposes in gardens. The contorted branches look particularly interesting in the winter. These shrubs are usually grafted so remove straight branches that emerge from below the graft.